This past weekend not only did I have the pleasure of connecting with old High School classmates, I also went to a haircut party and got my “do” did. Growing my medium length hair to lower back length has been a goal of mine for some time now so cutting it seemed a bit counter productive to that goal. 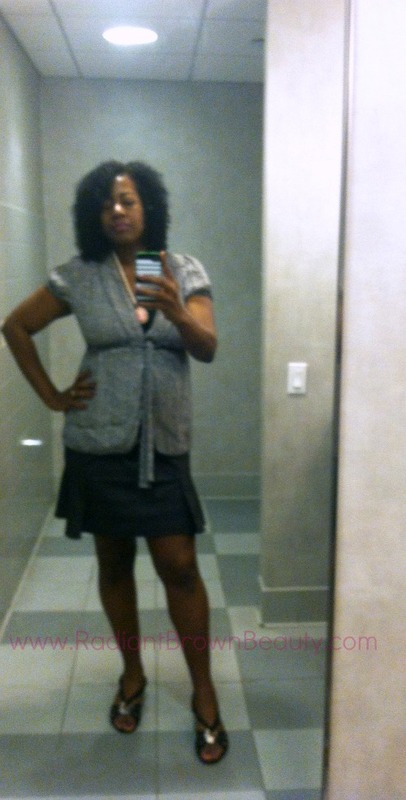 Plus, I like to wear my hair in protective styles most of the time (like up-dos with a front swoop). The problem with reaching my goal was I hadn’t had a decent hair cut in years. Couple that with the fact that my hair grows much faster on the bottom in the back, it was not really shaped well. Hence, the reason I was never 100% thrilled with my twist outs and wash and go’s. So, instead of just having hair that’s there. I wanted a cut that gave some shape to my hair. On Sunday, I took a trip to the boonies New Jersey where I attended a hair cutting party (sorry Jersey girls. It’s a world away for me). I was very nervous about getting my hair cut from the beginning so not being able to see how much Tameeka was cutting had my nerves on end. I honestly didn’t even think my hair looked that bad before the cut. After the cut, when I saw the results on my wet hair I was a little disappointed. I thought my hair looked very flimsy. Every other lady that had her hair cut was left with it looking better than before – curled, defined and full. BAM! I’m telling you, I didn’t even expect my hair to look as defined and voluminous. After all, it’s fine hair right? 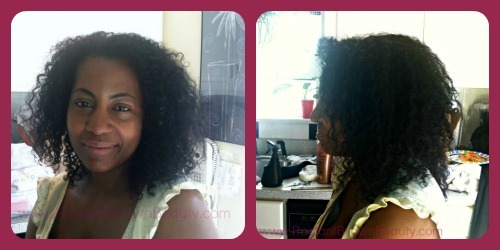 Anyway, Tameeka used Wonder Curl products which I had yet to try for myself. I did however purchase them before the cut. More on that later. P.S. Shelli of Hairscapades arranged the hair cutting party. Check out the other ladies cuts here. Next PostWonder Curl Wonder Curl! Your hair looks really full in these photos. Very nice! A hair cut party sounds so fun! I want to go to one! LOL And your hair does look fabulous too…doesn’t seem thin at all! Man Im SALTY I dont live close 🙁 my loopsied curls need one touch from Tameeka!! 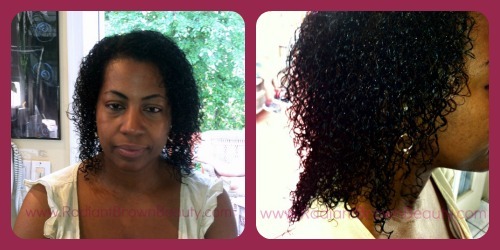 LOL Michelle (CurlyChellz) came from another state….4 hour drive! Your hair looks great. Awesome cut! Send me ur contact on my email and I’ll send some pics. I can’t see how u post a pic in the comments?!? Did ur daughter love ur hair? What abt the pics of takara? I thought you had a blog! That’s why I said post pics lol. You know you should start one sharing your hair styles and Chloe’s. OK I got your emails but didn’t open them yet. I try to clean out all my junk mail before I get to the good stuff LOL. you and leah have been encouraging me too blog…I’m scuuuuuuuuuuuuuuuuuured, plus it takes alot of time. I know how I look for posts from yall and be like where they at when yall don’t post in a day or two…lol! I know IF anyone ever followed me they’d stop, lol! Leah found the one I started at the behest of Chloe’s dad, it was about curls and cupcakes…lol! Hey Michelle aka Michelle Fresh..lol! I told you it was going to look good and you can’t even tell you got it cut!!!! My hair plumped up too! And grrrrrrrrrrrrrrrrrrrrrrrrr-love the mini skirt! LOL! Girl please. Are you going to post a pic of your hair??? ?